Overseas asset management companies are speeding up their positioning in China's growing fund market, especially in the private fund sector. A recent overseas entrant is Eastspring Investments, the Asian investment management arm of London-based insurer Prudential. The company has just secured a private fund manager license in China via its wholly foreign-owned enterprise (WFOE) in Shanghai. It is also set to launch its first private fund product, focusing on A-shares, around April next year, the company disclosed. "Given that we start from a cheap base, that can be an attractive entry point... as well as excellent timing," Guy Strapp, Eastspring's chief executive, told the Global Times on December 5, referring to the fact that A-share valuations have evaporated a lot during the years-long bearish market. The new WFOE is one of the company's efforts to penetrate deeper into the Chinese mainland fund market, after it secured a joint venture partnership with China's CITIC Group in 2005, which focuses on the retail market. Eastspring's expansion into the mainland private fund market is an example of a growing trend for overseas capital to tap the mainland private fund market, just two years after the Chinese government allowed foreign firms to engage in the sector. Beijing-based business magazine China Financial Weekly reported on Sunday that currently, 15 overseas institutions have been certified to set up private securities investment fund manager institutions in the Chinese mainland. On this list are well-known names such as the world's largest hedge fund Bridgewater Associates, as well as the 23-year-old Singapore-based APS Asset Management. "The earlier foreign companies can launch funds in mainland, the more recognition they are likely to obtain from mainland investors and the better it is for their business," Xi Junyang, a finance professor at the Shanghai University of Finance and Economics, told the Global Times on Monday. Overseas fund operators like Eastspring are looking to grab the opportunities in China's fund market, which has been developing for a couple of years but still has a long way to go compared with mature markets in the West. "The life insurance market in the mainland is not very highly penetrated, and on the asset management side the mainland market is even more nascent and smaller," Nic Nicandrou, chief executive officer of Prudential Corporation Asia said. The scale of private funds reached about $12.5 trillion by the end of 2017 in the US, the Securities Times reported in August. In comparison, the size of China's private funds was about 1.26 trillion yuan ($182 billion) at the end of June 2018. But for overseas companies, the nascent mainland fund market has great appeal. "Some market projections say the size of the mainland listed equity market will go from around 20 trillion yuan today to being somewhere around 50 trillion yuan. There will be a big supply of equity in the market," Nicandrou said, adding that Eastspring hopes to grasp its own opportunities in this explosion of demand and supply in the asset management space in the mainland. "To do well in China, you don't need 10 or 20 percent market share. Instead, 1 or 2 percent market share is good enough [for profitability]," he noted. The China Financial Weekly report also cited a senior executive at an overseas asset management company as saying that many global asset management institutions have already sensed the "strategic meaning" of the Chinese market, although they may have different plans for the country. Xi also stressed that overseas-invested funds should have "unique appeal" for certain Chinese investors. "They might get bored with domestic funds and want to try products launched by overseas companies, with their new investment ideas, new management models and their focus on long-term value investments," he told the Global Times. A 58-year-old Shanghai-based investor, who declined to disclose her name, said that she had just bought a private fund product launched by Credit Suisse AG. "I guess that overseas companies are more professional in managing assets, while domestic fund managers are often mixed up with the good and the bad," she told the Global Times on Monday. Overseas asset management companies are also speeding up their roll out in the mainland as the government opens up the domestic fund market as part of its efforts to ramp up financial opening-up. In June 2016, the China Securities Regulatory Commission allowed certified overseas institutions to run private funds in the mainland. Overseas institutions are not yet allowed to set up wholly owned companies in the mainland to operate public funds, but they can set up joint ventures with mainland companies to carry out the business via certain channels. In November, South Korean Asset manager Mirae Asset Global Investments announced that its Chinese operation in Shanghai had been granted a private fund management wholly foreign owned enterprise (PFM WFOE) license from the Asset Management Association of China (AMAC), which will allow the company to operate private equity funds for customers in the Chinese mainland market without a local partner, according to a report on news portal pulsenews.co.kr. The license allows Mirae Asset to sell its own fund products investing in Chinese mainland stocks and bonds to local institutions. The company will also be allowed to offer consulting to investors seeking investments in the Shanghai-Hong Kong Stock Connect and the Shenzhen-Hong Kong Stock Connect, the report noted. 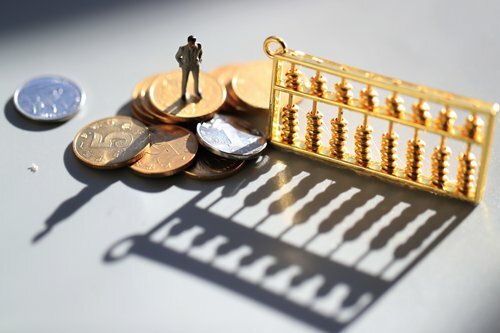 In April, the Chinese government also announced an easing of the shareholding ratio of overseas securities firms, fund management companies, futures companies and life insurance companies to 51 percent from 49 percent, and will completely scrap the shareholding ratio in three years. "With the quickening pace of financial opening-up, overseas capital will further swarm into China's fund market, particularly if the A-share markets perform better in the next few years," Xi noted.